Chambers & Partners is one of the world’s leading legal guides that identifies and ranks the top law firms and lawyers in over 180 jurisdictions throughout the world, including Israel. 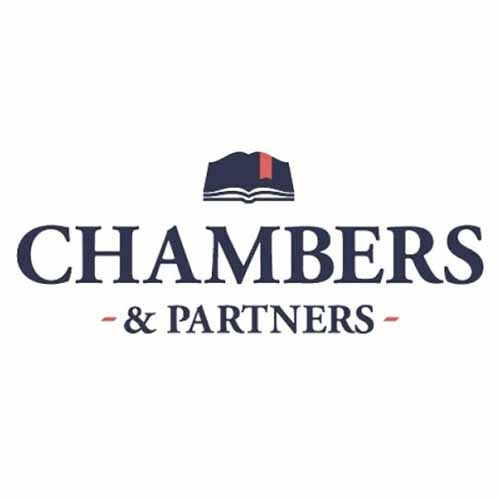 Chambers & Partners is considered an elite legal ranking guide and one of the most credible guides due to its extensive and impressive research teams. In a nutshell, Chambers is a fundamental ranking guide in the legal field and plays a significant role because it allows individuals to find the right law firms or lawyers to work with depending on their needs. As one of the top-ranking guides and toughest lists to get on in the world, Chambers & Partners ranks law firms and lawyers based on their performance and activity that has taken place in the past 12 months. With 170 full time editors and researchers in charge of assessing law firms and lawyers, they take many deals and cases into consideration. Each research team is based in different geographical areas, which also includes many different sectors and industries within that region. In addition to a written submission for each practice field, 20 referees should be identified and submitted for the research teams to contact while assessing the law firms and lawyers. Since the Chambers research team will reach out to the referees, it is critical that the clients guide them through the process and prepare them for a brief phone interview, which may impact and determine if the law firm or lawyer is ranked. The B10 section is one of the most important parts of the submission form since it’s the only way for law firms to sell themselves (for the submission form: https://submissions.legal500.com/). With the majority of the form being limited to the cases the law firms are working on, it is difficult to accurately describe what the firm is known for or what kind of work they do. Overall, Chambers & Partners is an important and beneficial resource in the legal field. According to Chambers & Partners, law firms and lawyers are ranked solely on their performance and activity in the past 12 months. Taking this into consideration, all law firms and lawyers have an equal chance of being ranked in Chambers. As one of the world’s leading ranking guides, all law firms and lawyers are advised to take part in the Chambers & Partners submission process.